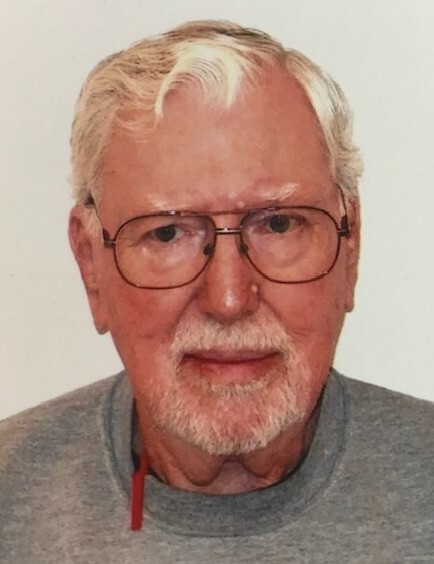 Frank Sylvester Barnard, 89, Burlington, passed away at 10:05 a.m. on Thursday, April 11, 2019, at his son’s home in Nashville, Indiana. He was born May 17, 1929, in Burlington, to Gardner and Dortha (Snyder) Barnard. On May 14, 2012, he married Nancy Jordan, and she survives. Frank graduated from Burlington High School in 1947. He served in the United States Army in Germany from 1954 to 1956. He went on to work for Dixion Electronics as an electrician and had also worked for Motorola and O’Malley’s Lumber Yard. He enjoyed woodworking, drawing up blue prints and building things. He served on the Burlington Fire Department and was a member of the Burlington Masonic Lodge, the VFW and the American Legion. In addition to his wife, Nancy Barnard, he is survived by his son, Steve (Ruth) Barnard, Nashville; grandchildren, Shawn (Millie) Barnard, Josh Kensell and Vanessa Goudy; and great-grandchildren, Dakota Goudy, Shalyn Barnard and Raylee Barnard. He was preceded in death by his parents and a daughter, Pam Kensell. Friends are invited to visit with the family from 10 to 11 a.m. on Tuesday, April 16, 2019, at Stout & Son Funeral Home, Burlington Chapel, 44 Michigan St., Burlington. A Masonic service will be held at 11 a.m. on Tuesday at the funeral home followed by a graveside service in Burlington Cemetery with Pastor John Drexel officiating. Military honors will be provided by the United States Army and the Kokomo VFW Military Rites Team. Messages of condolence may be left online at www.stoutandson.com.